Sprig Live 2019 - Sprig Oral Health Technologies, Inc.
Our biggest event yet, Sprig Live is the one event you don’t want to miss this year. Build speed and efficiency in your use of Zirconia crowns. 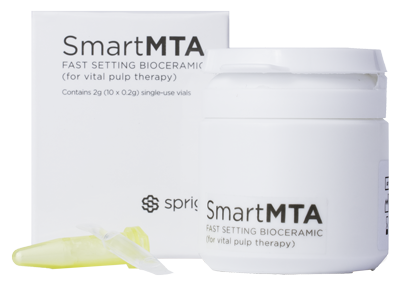 Learn the latest in pulp therapy for both primary and adult teeth using SmartMTA. Discover the latest innovations behind laser therapy, SDF treatments, and much more. Continuing education at it’s best. Together we’ll help you build the knowledge and confidence to take your practice to the next level. Sprig Live is an experience for your entire team. When the whole office is challenged, inspired, and motivated, things can happen you never dreamed possible. Rekindle the fire of dynamic teamwork and allow your office the opportunity to grow in ways that will truly benefit your practice and patients. It’s a great reminder that individuals might win games, but teamwork and intelligence win championships. Let’s face it, so often we go to CE meetings to see friends. It’s not the dynamic speakers or over-the-top exciting lectures that keep us coming back. It’s the relationships we have with friends and colleagues we’ve made over the years. Now, wouldn’t it be amazing to have both; an event that was as engaging and inspirational as it was relevant and fun to attend. This is why Sprig Live exists. Come and be part of an educational event that will truly make learning exciting again. Experience it for yourself…and bring a friend.